The senior averaged 9.8 points and 7.9 rebounds per game. She finished her career with 795 points, good for third all-time at Berwick. She is a three-year team MVP and a two-year captain. She is also a softball player. The 6-9 center was named EIL co-MVP after averaging 15.1 points, 8.3 rebounds, and 3.2 blocks a game. The sophomore led Beaver Country Day to an undefeated regular season, the EIL, and NEPSAC Class B titles. The senior point guard averaged 11 points, 6 rebounds, and 5 assists a game. She is a 1,000-point scorer, two-time NEPSACMVP, and four-time All-ISL First-Teamer. She will play next year at the University of Rhode Island. The senior finished first in the ISL and was named league MVP for the second season. Chappel, team captain for the second straight year, finished second in the league last season. She also plays varsity field hockey and softball. The senior holds a 135-16 career record with 83 pins. He is a four-time National Prep All-American and a four-time NewEngland Champion. Ott has been a constant presence on the Belmont Hill honor roll and will attend Harvard. The senior forward amassed 36 points to reach the 100-point milestone in her three years at Berwick Academy. She was named MVP of the EIL and is a three-time EIL all-star. She will play hockey at Trinity College next year. The junior finished third at the New England Championships in Division 1, Class A. He helped his team to a second-place finish at New Englands and a third-place finish at Nationals. He is ranked second in the U.S. boys’ U-19 division. The senior center was the recipient of the Boston Bruins John Carlton Award and led her team with 40 goals, 28 assists, and a plus-74. She was named co-ISL MVP, New England Player of the Year, and MVP of the New England Div. 1 tourney. The sophomore completed an undefeated season in the EIL and was named EIL MVP and team MVP. Mullaney won the NEISA New England Division B championships. She is also a Massachusetts junior girls’ U-17 champion. The senior goaltender finished the season with a .947 save percentage. He was named ISL MVP and to the All-New England team. He helped lead his team to three New England playoff appearances. He also was also ISL Offensive MVP in baseball. The senior forward was named co-MVP of the Independent School League while also receiving All- League honors. In addition, Piacentini was named to the 2012 All-New England team for Division 2. She was given the team MVP award. The junior finished the season with a 20-2 record, winning all of his matches by pin and going into the second period of a match only twice. The EIL MVP also won the Northern New England Tournament and is a three-year varsity letter winner. The sophomore point guard was named co-MVP of the ISL and was named to the All-ISL First Team for the second season. Dillon helped lead Nobles to a NEPSAC Class A Championship. She is also an All- ISL Second-Teamer in soccer. The junior right wing finished the season with 45 goals and 31 assists in 27 games. Led by Pontarelli, St. Mark’s finished the regular season 16-9-3 and qualified for the NEPSAC postseason. He was also the team co-captain. Rafferty averaged 22.2 points, 6.5 rebounds, and 6 assists per game. He was named co-MVP of the EIL and was his team’s MVP. He graduates as Berwick’s all-time leading scorer with 1,705 points. He is a three-time First-Team EIL selection. The junior was undefeated in the ISL regular season for the second consecutive year. She finished third at the NEISA New England Championships. Ho also plays badminton, where she won the U-15 girls’ Pan American Championship in 2009. The senior was the unanimous ISL MVP after averaging 17.7 points, 9.3 rebounds, and 2.3 blocks per game. He led St. Mark’s to the Class AA championship and was named to the Class AA All-New England First-Team. He will attend Arizona. Just a freshman, she was named MVP of the EIL. A top-10 New England swimmer since the age of 8, this season Reis qualified for the Winter Senior Nationals in Atlanta and the Grand Prix Meet in Austin, Texas. Reis swims year-round. The junior is a four-time all-league skier in the Independent School League. He is also a four-time member of the All-New England team. Katz enjoys skiing and golfing and is in his third year as a member of the varsity golf team. The senior was named the New England Division 2 Player of the Year and finished the season with 40 goals and 34 assists. She was named to the all-ISL team for the second consecutive season. She will play at Boston University next year. Boys’ alpine skiing — Belmont Hill: Sabri Eyuboglu, Dan Remondi, Mike Remondi. Lawrence Academy: Barrett Kelly. Middlesex: Spencer Bienvenue, Brendon Canavan, Nick Kafker. Milton Academy: Jonnie Lawson. Nobles: Alex Katz. Girls’ alpine skiing — Lawrence Academy: Madeleine Kelly. Middlesex: Nina Harrison, Taylor McKenna, Sophie Vitzthum. Milton Academy: Amy Chappel. Nobles: Ashley Conley, Caley Dickinson, Tory Macdonald. Tabor: Michaela Braun, Alyssa Creager. Girls’ swimming — Berwick: Jenna Hayden, Kelsey Hayden, Isabel Reis, Caroline Seekins. Dana Hall: Abby Benkert, Emma Benkert, Caroline Joannes, Justina Zuckerman; Pingree: Erin Cunningham, Emma Gaquin, Simi Harrison, Molly McSweeney, Veronica Monteiro. Portsmouth Abbey: Ceara Bowman, Sean Buckley, Nick DeLieto, Chris Soriano, Tim Tsung. New England Prep school Girls Independent Hockey Association, Division 1 — Noble and Greenough: Mary Parker; Westminster: Sydney Daniels; Williston Northampton: Kathryn Tomaselli; Deerfield Academy: Jamie Haddad; Choate Rosemary Hall: Briana Mastel; Berkshire School: Bella Sinsigalli; Winchendon: Celeste Robert. New England Prep school Girls Independent Hockey Association, Division 2 — Middlesex: Jordan Juron; Thayer Academy: Melissa Piacentini; Southfield: Courtney Turner and Erin Hall; Rivers: Janelle Ferrara and Taylor Cross; Holderness: Abby Guerra, Holderness. AB West girls’ basketball — Berkshire: Samantha Defreese, Hannah Cooke, Kristalyn Baisden. 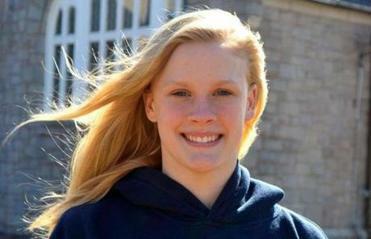 Choate: Maggie Sundberg. CSH: Colleen O’Neill. Chushing: D’Jaidah Akins-Wynn, Olivia Hosch. Deerfield: Elizabeth Murray. Greenwich: Galen Hughes. Holy Child: Shannon O’Connor. Hotchkiss: Leah Settipane. Kent: Kayleen Murray. Loomis: Taylor Williams. Miss Porters: Alexa Menard, Genelle Green, Caroline Jadovich. NMH: Ruthann Zientek, Rashinda Timbilla. Pomfret: Megan Gadreau, McVey. Suffield: Tia Scott. Taft: Morgan Manz. AB East girls’ basketball — Andover: Kaylie Williams. Brooks: Thalia Garcia. BB&N: Skylar Caligaris. Governor’s: Kat Fogarty, Katie O’Book. Lawrence: Shannon Saywell. Milton: Anna Lachenauer. New Hampton: Lizzy Ball, Maddy Blais. Nobles: Lauren Taiclet. Hate Kerrigan, Lauren Dillon. Rivers: Tayra Melendez, Emily Daley, Jen Berkowitz. St. George’s: Jess Hom. Tabor: Erin Coughlin, Candace Andrews. Thayer: Giovanna Pickering, Lexi Windwer. Tilton: Savanna Butterfield, Daisy Jordan. CDE West girls’ basketball — Canterbury: Krista O’Gara, Kathleen Mulvey. Cheshire: Darien Dunham. Christian Hermon: Fredi Nielson, Stephanie Jones. Ethel Walker: Lisa Volg. Greens Farms: Meighan Grady. Hamden Hall: Krystina Reynolds, Rachel Plotke. King: Domonique carter-Stanley, Tatiana brown. McDuffie: Carina Gonzalez. Millbrook: Morgan Davis. Oakwood Friends: Emily Gins. St. Luke’s: KC Kelly. Watkinson: Rachel Aviles, Dache Williams. WMA: Brielle Robinson, Carly Cronin. Wooster: Kate McNutt. CDE East girls’ basketball — Beaver Country Day: Kaila Duarte, Adi Alicea-Cordero. Berwick Academy: Juliana Blais. Boston Trinity: Nikisa Thomas. Brewster: Meghan Hardiman, Morgan Fuller. Brimmer & May: Heather Gates. Holderness: Migle Vilunaite. Kimball Union: Gabby Diaz, Refeegah Fataar. Lexington Christian: Vicky Nguyen. Marianapolis: Sydney Latour, Melanie Mills. Montrose: Brea Reardon. Southfield: Alex Maund, Lorraine Cox, Natalie Metzgar. St. Andrew’s: Amber Holgate, Mona Mendes. Woodward: Ava Small.